The State Government of Mizoram initiated the RFD implementation process by organizing a workshop at Aizawl, Mizoram on 22-23 January, 2013. The Hon’ble Minister for Department of Administrative Reforms, Government of Mizoram, inaugurated the workshop. Ms. L. Tochhong, Chief Secretary, Government of Mizoram also spoke on this occasion. Sixty eight senior officers from all departments had also participated in the workshop. 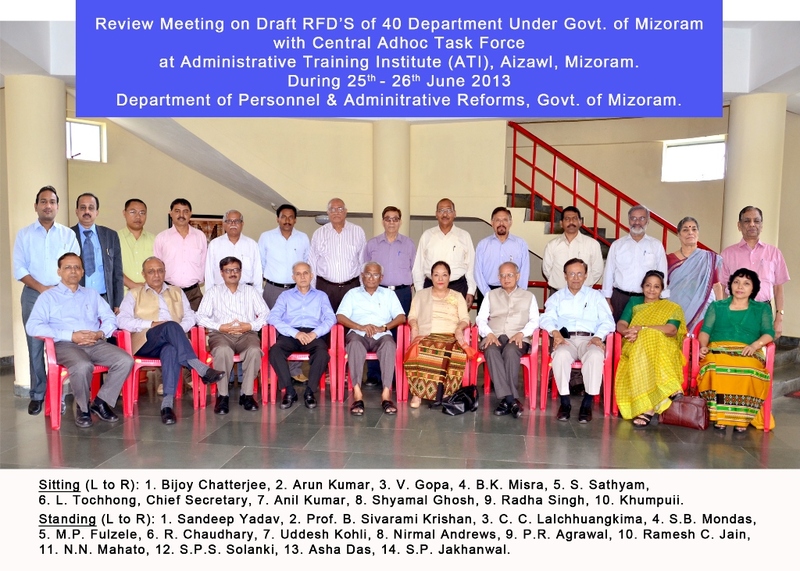 The State Government of Mizoram adopted the RFD for all 40 departments. 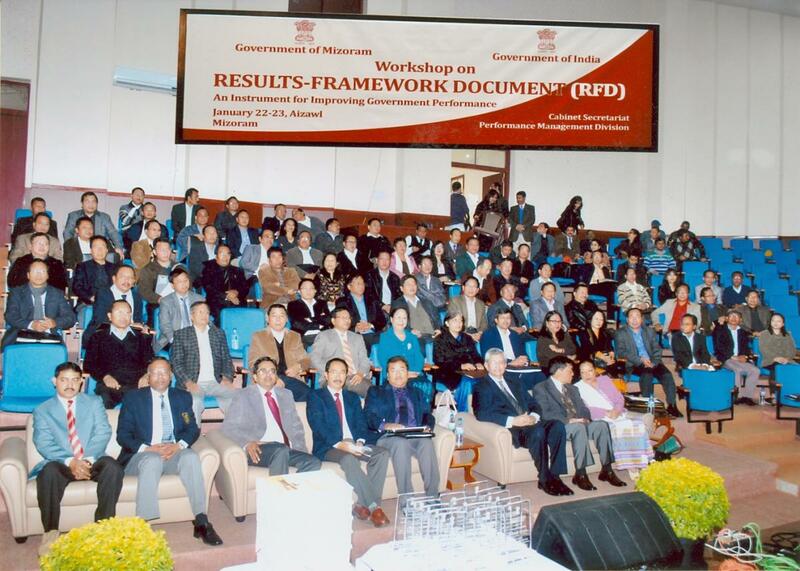 It has been decided that the Government of Mizoram will implement RFD from the Year 2013-14. 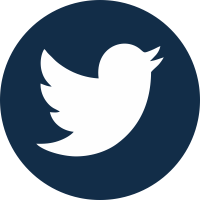 Draft RFDs for 39 departments for the year 2013-14 have been prepared by the Govt. 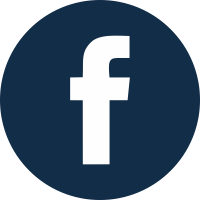 of Mizoram.